LearnZillion has a big mission — to empower districts and states to take ownership of their curricula, providing teachers with the best tools there are to help engage their students. They’re the world’s first curriculum-as-a-service offering (CaaS), combining digital curricular materials, an enterprise platform, and professional services, all working together towards their mission. 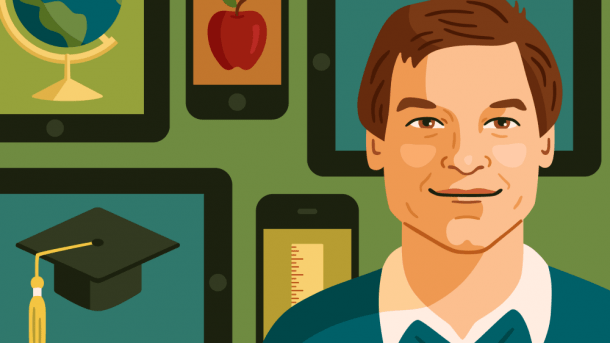 Ian Lotinsky, CTO at LearnZillion, joined when the company needed a technical leader after raising its Series A. When you have a goal that big, you learn a few things about leadership along the way, and Ian has some great lessons that other tech leaders can learn from. One of Ian’s core management tenets is that he encourages his engineers to not just think about the software they’re writing, but about the product they’re building. This means they’re in the ideal position to have the most context on what LearnZillion’s goals are. It also means they’ll face the constraints and contradictions that emerge when you put something into code — problems that aren’t apparent in an idea, a wireframe, or on a feature spec list. Ian leaves it up to the engineers to identify when that happens and come back to the team when there isn’t a direct answer or approach to solving the problem. “I want them to think about the problem they’re solving and to help steer the overall product, not just the software,” he notes. Why this somewhat free-form approach? The problem is, that’s not a fair thing to hold the rest of the team to, as far as Ian is concerned — they aren’t the ones faced with constraints, they’re working off of brainstorming lists in Google Docs or drawing up UX wireframes, and there are things they can’t know when working in those mediums. Ian specifically seeks out engineers who are willing to work this way, and feels that his team creates better products for it. Because of this approach, it’s important to help engineers understand the importance of their role outside of the material contribution of only writing code. The trick is, you also need to be giving people something a little bit beyond their capability so that they can grow into their work and responsibilities. This is why Ian lets his engineers figure out when a problem is something they need extra backup on, instead of over-supervising them. READ ALSO What are sitelinks and how can I get them? Does it follow the conventions established by the team or outside sources? Are there too many abstractions in the code? He requires engineers to fix their own bugs to gain and build this thoughtfulness. Another factor of predictability that’s important to his team’s workflow is creating a predictable cadence to the work you’re producing. Ian’s favorite metaphor for thinking about dependability and predictability in a team? If a player of a sports team isn’t predictable, it affects the whole team. For example, if you look at soccer, if one player isn’t predictable in terms of when they get the ball or who to pass it to next, it can throw off all the plays that the team planned and drilled together. The team simply won’t function if that person isn’t predictable in terms of their ability to get the ball to the right person at the right time and the right place when a play is in motion. His final words on the topic? This post was originally published at the Clubhouse blog.